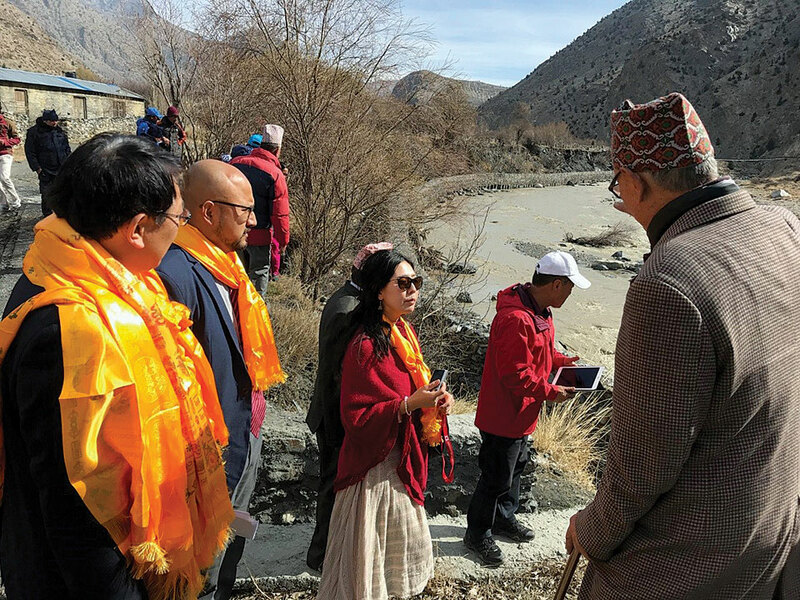 KATHMANDU, March 14: Japanese Ambassador to Nepal Masamichi Saigo handed over an embankment along the Kali Gandaki River bank to Gharapjhong Rural Municipality-2, Mustang, on Wednesday. 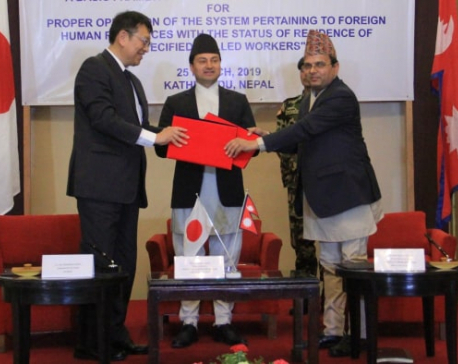 As per a previous agreement, the Japanese Embassy in Kathmandu had provided a grant assistance of Rs 9.2 million under the Japanese Government's Grant Assistance for Grassroots Human Security Projects (GGP). The project supported the construction of a 420-meter embankment along the banks of the Kali Gandaki River to prevent erosion of adjacent land. "The embankment protects land near the school grounds and nearby agricultural plots. It is expected to contribute toward the safety of students and villagers, and also protect fields from further erosion," a statement issued by the Embassy of Japan in Kathmandu said. The Embassy of Japan has expressed beliefs that the project can contribute toward conserving land and building a safe environment for students. It also hopes that the assistance will contribute toward further strengthening the bilateral relationship between Nepal and Japan.